Here’s to great grooming. 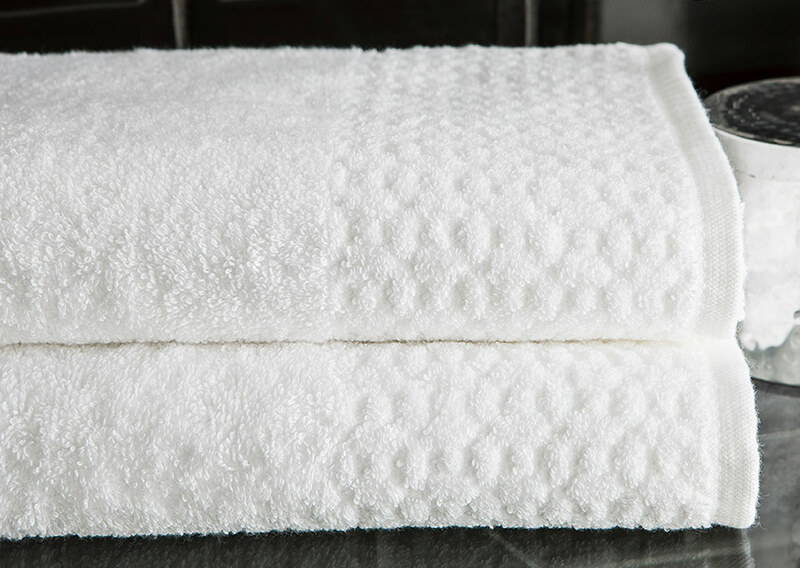 Made from 100% pure cotton, Sofitel towels set the standard for superb essentials. 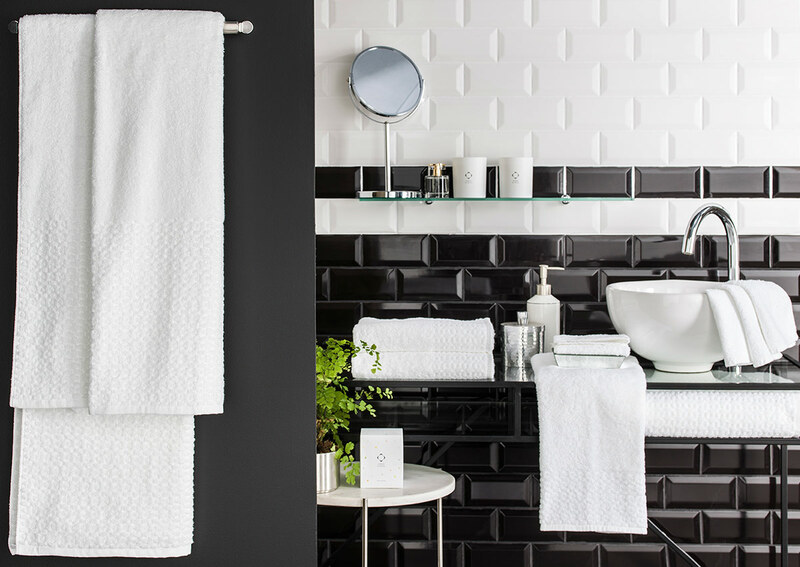 Ultra-absorbent and plush to the touch, they’re woven with a Decorative Lattice Pattern that adds a dash of style to your bathroom. Our six-piece towel set includes two bath sheets or bath towels, two hand towels and two washcloths. 2 Wahcloths (12" x 12")"